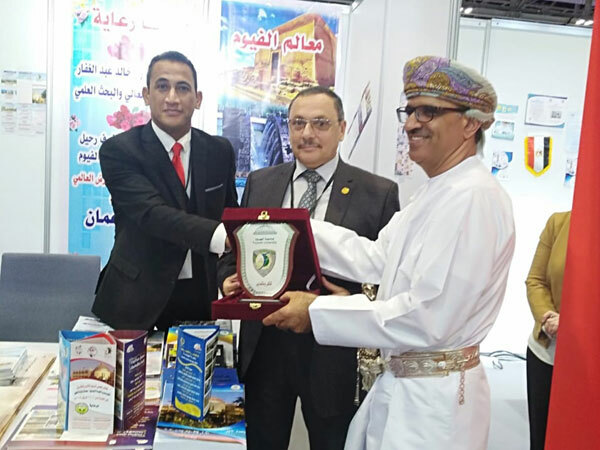 Under the patronage of Prof. Ashraf Abd El -Hafeez, Acting President of Fayoum University, the University participated with a delegation headed by Prof. Kamal Ghalab, Vice Dean of Institute of Research and Strategic Studies of the Nile Basin Countries, and Dr. Moustafa Mahmoud Abu Hamad, Director of the University Services Marketing Center, in Oman during the period from 14th to 16th of April 2019. 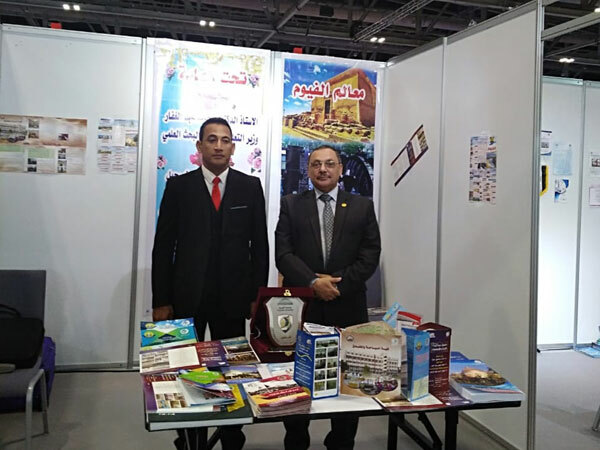 Prof. Kamal Ghalab said that the opening of the exhibition was attended by 200 universities, colleges and educational institutions from 30 countries around the world, adding that the participation of Fayoum University aims to market its educational programs in the bachelor degrees and postgraduate studies in order to increase the return on investment from international students. 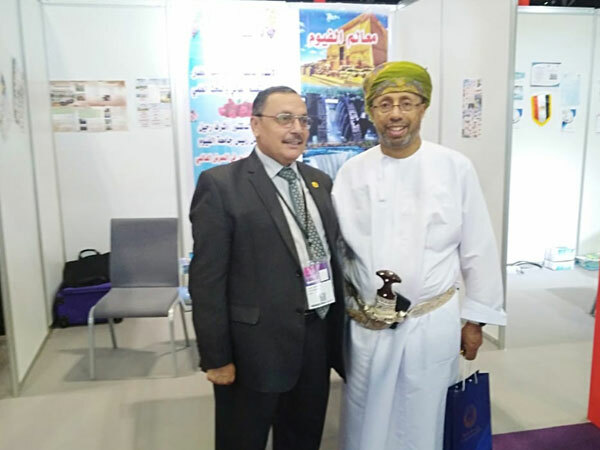 Accordingly, Dr. Moustafa Mahmoud Abu Hamad explained that Fayoum University's pavilion was visited by the Egyptian Ambassador in Oman, the Undersecretary of the Omani Ministry of Higher Education, the Egyptian Cultural Attaché in Oman and a number of public figures and some delegations from Arab and foreign universities, media and students. 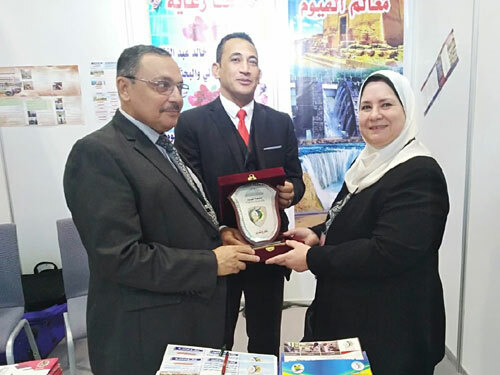 The delegation handed over the shield of Fayoum University to the Undersecretary of the Omani Ministry of Higher Education and the Egyptian Cultural Attaché.